Cream butter, sugar, and vanilla until light and fluffy. Shift flour and salt into creamed mixture. Add chopped nuts and mix well. Shape into 1 inch balls and place on baking sheet. Bake at 325º for 20 minutes (do not brown). 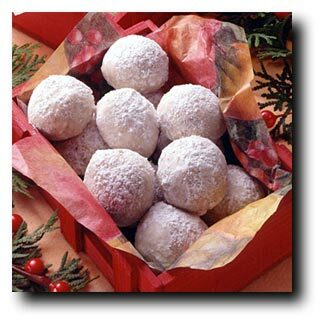 Cool and roll in powdered sugar.